This week’s prompt from Tara at Sticky Fingers is Trees. My parents came to visit last weekend and we went to visit nearby Aberaeron. 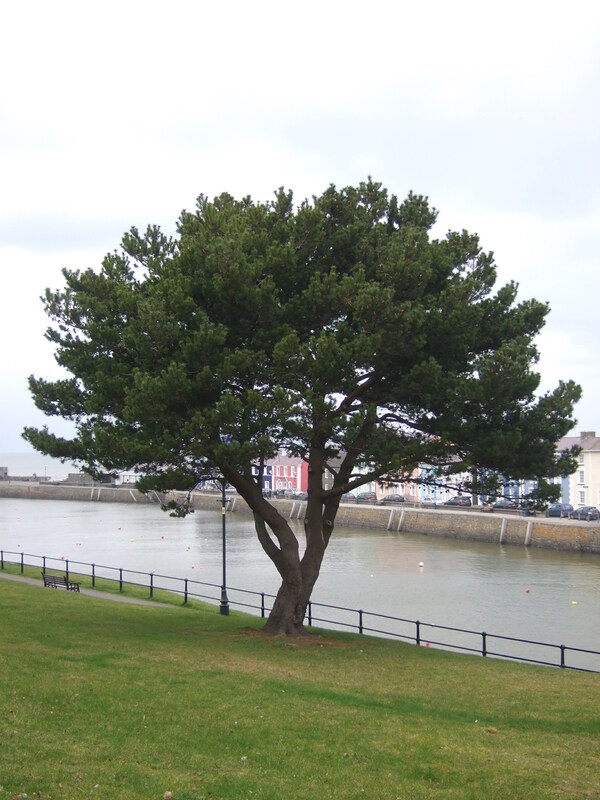 It’s a lovely little town full of colourful houses, this tree stands on one bank of the River Aeron. I imagine in the summer it’d be a nice tree to go and sit under with a book and a glass of something nice. Previous Post Book Review : Mortal Engines by Philip Reeve. Next Post Book Review : Lottie Biggs Is Not Mad by Hayley Long. Definitely does look somewhere nice to sit in the summer. You’re right, it’s about 20 minutes south. I think I shall be going back and trying it out once we have the weather for it. Yes, definitely the perfect tree for a book and a glass! Beautiful picnic spot – though it’ll be croded now you’ve told us all about it!